Wow, I can’t believe it’s been almost an entire month since my last blog! Things have been busy at work and with The Weatherman’s “situation” (more on that here, or ask me directly), but we did manage to squeeze in a 5-day vacation to Las Vegas with Chad’s family! Needless to say, few things were certain: it would be hot, we would have fun, and we’d come back with hilarious stories. I’d say mission: accomplished in all three areas! We flew out Monday morning and had layovers in Dallas and the Motherland. (It was very sad and tempting to not be able to disembark the plane in Austin, let me tell you.) But finally, we made our way to Las Vegas – and the adventure really began! I asked our cab driver to get us to the hotel quickly, as people were waiting on us there. THIS WAS A MISTAKE. He drove 110 MPH on twisty roads on airport property and on the highways, wove in and out of traffic, crossed 7 lanes of interstate to make our exit (only after seeing the “1/4 mile till your exit” sign) and blew through the light at the intersection of Flamingo and Las Vegas Boulevard (6 lanes). And when I say he blew through the light, I mean it was red, I counted to 6 and then we entered the intersection. I seriously feared for our lives! I will never ask a cab driver to get us somewhere ASAP ever. again. Within a few hours, everyone had arrived at the hotel (the Tuscany Suites, a block off the Strip) and we settled in for an AMAZING Italian dinner. Because I know you read this blog for the food (ahem, Lindsay), I can tell you that I had the world’s greatest and LARGEST bowl of homemade pesto fettuccini EVER. It seriously could have fed 3 people. And the warm, freshly-baked bread with herbs and olive oil was my weakness, as usual. 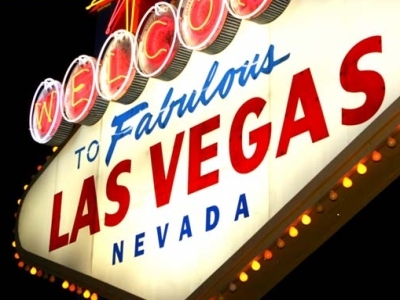 Most of our days were filled with wandering the Strip, sightseeing and swimming, and our nights were filled with gambling, eating and all around merriment. Sounds terrible, no? A highlight of mine was riding the roller coaster at New York, New York – that thing rocked! I love roller coasters :) One night, we all decided to play blackjack together – Titanic style. And by that, I mean we all went down together! We kept giving one another chips so that we could continue to play, and we ended up keeping ourselves alive for well over an hour. I was laughing so hard I was crying, and it was definitely a night I’ll never forget! On our last full day in Vegas we spent the entire day at the Monte Carlo pool/lazy river/wave pool/sand volleyball courts. For free. And meeting a very wealthy couple who graciously paid for about $500 worth of drinks between the 9 of us. Yeah, that day was awesome. On our last night in Vegas, we headed to Mon Ami Gabi, an awesome restaurant in the Paris Hotel. I had the steak and frites with bernaise sauce, and I can tell you that this was a GREAT decision. Chad and I then split the molten flourless chocolate cake and headed to the casino for one last round of fun. In fact, it was the only night I ended up being the big winner! Always go out on a high note, that’s what I say. The next morning, Chad’s mom and I cried when we said goodbye (what?! I love that woman!) and we headed (much more slowly) to the airport. We had a super fancy Southwest plane back to Houston, and then were delayed 2.5 hours because of weather in Baltimore – but it ended up being fine, as it gave us plenty of time for dinner and Olympics/football watching. All in all, a great trip! 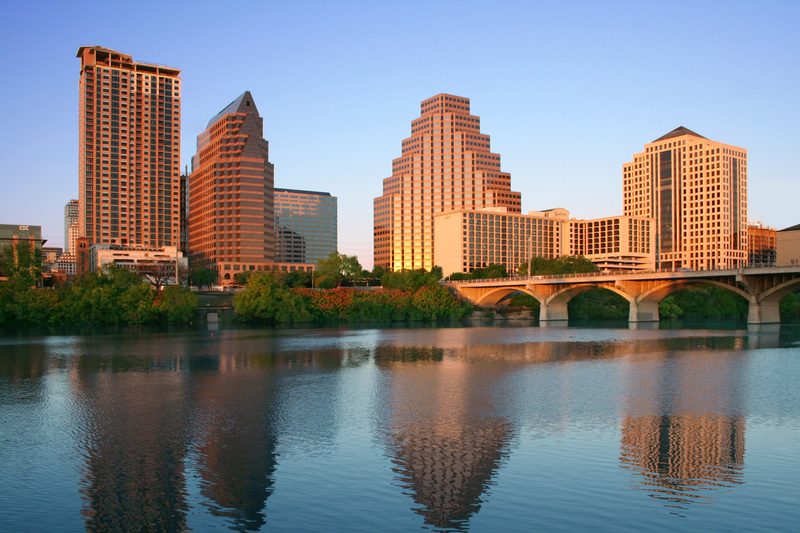 First – AUSTIN! I will see you and your lovely residents in a mere 10 days!! Second – VANCOUVER! I will see you for a business trip in 1 month and 7 days!! 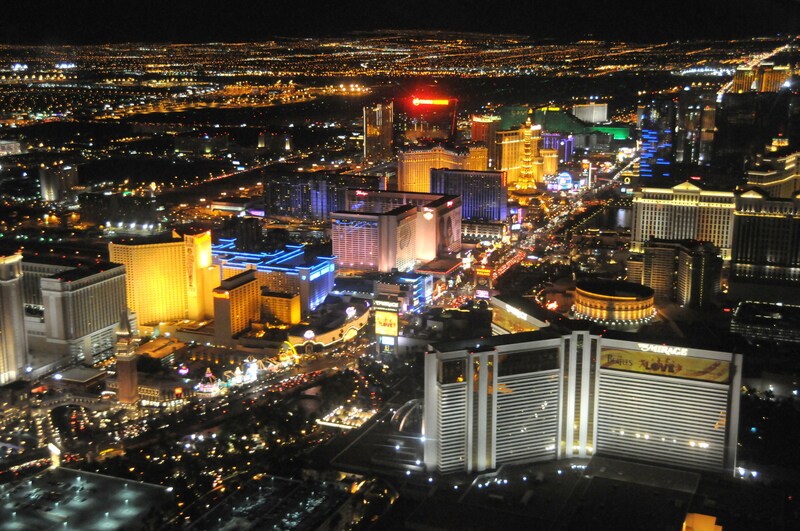 Third – VEGAS!! I will wreak havoc on your town, along with my family-in-love, in 2 months!! 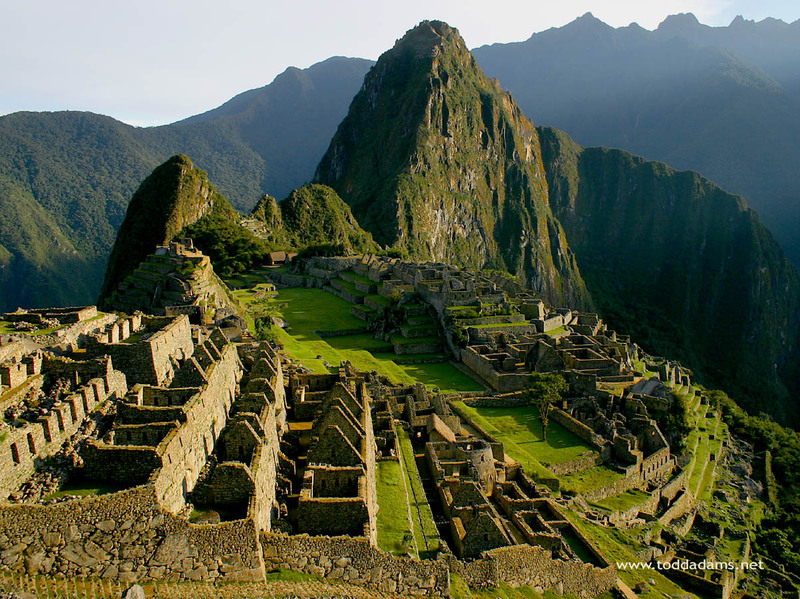 Fourth – PERU!! I will be on a mission trip to your beautiful country in 5 months and 3 days!! Today marks the 100 Day mark until our 2012 VEGAS VACATION!! I am PUMPED and already VERY ready to have a vacation and to spend a week laying by the pool by day and gambling by night. I’m lucky to have SUPER fun in-laws, and they’re coming along on the trip with us (Chad’s mom, step dad, sister, her boyfriend and Chad’s best friend). Considering we regularly stay up until 2 a.m. playing games and having fun on our “normal” times together (but really, “normal” isn’t this group’s strong suit), I can’t even imagine what Vegas has in store for us – or what we have in store for Vegas! What’s also super exciting is that I’ve booked lunch for Chad and me at the Eiffel Tower Restaurant when we arrive. We’ll have just enough time to get to our hotel and get comfy for a bit before we head over to the Paris for an awesome lunch overlooking the Strip, before the rest of the family shows up. WHOO HOO!!! 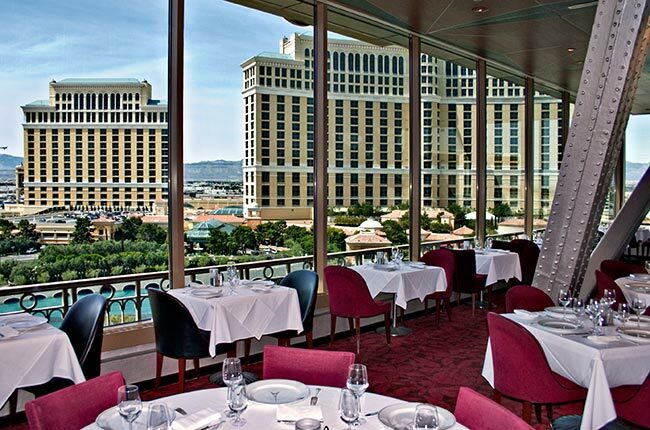 The view from the Eiffel Tower Restaurant in VEGAS!!! 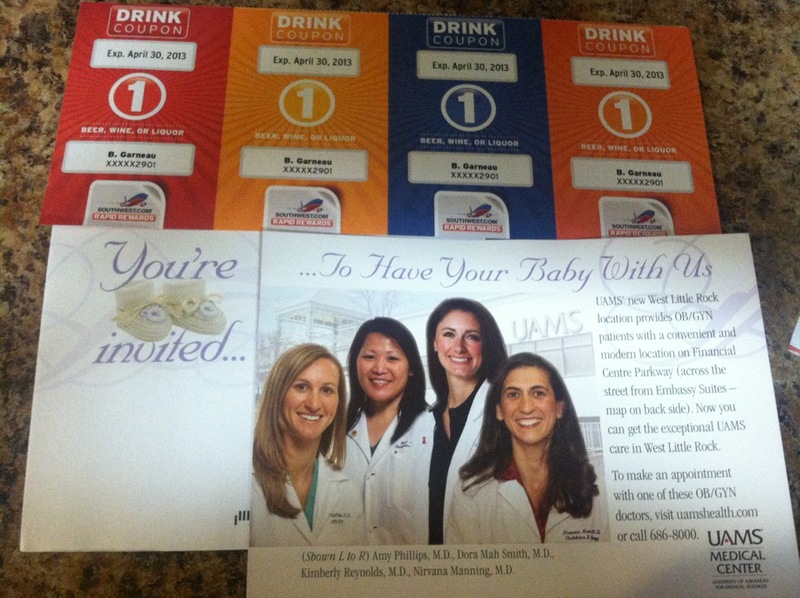 …That is, unless the two companies are plotting together, and they’re trying to get me drunk and then knocked up. Well, I’m on to your little plan, fellas! And I’m too smart for that!